Another strike against the Constitution by a POWER HUNGRY Presidential administration. This is another nail in American freedom’s coffin. If you love liberty you need to be very concerned. At the behest of President Barack Obama, the Federal Communications Commission voted this past Thursday, 3-2, on party lines, to impose FCC control over access to and charges by internet service providers. This is the beginning of the end of freedom over the internet. So-called net neutrality is not neutral at all, but is a regulatory schema that imposes federal oversight and control over what was but a moment ago the last remaining example of largely unfettered freedom and free enterprise left in the world. 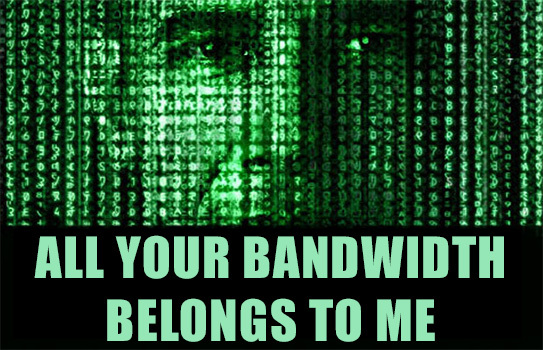 Longing for the power to force internet service providers to bend to the will of government masters, the Obama Administration aimed to get the proverbial camel’s nose into the tent, anticipating that its whole body would come next. Using the pretext of ensuring consumers had more rapid internet connections, the new regulations promise to do much more, essentially rendering all internet service providers common carriers subject to the same kind of innovation and competition stultifying regulations that made the old Bell system such an archaic, byzantine bureaucratic mess. On the road to a better internet, now architects of systems and markets will have to stop at a government toll booth. There they must satisfy the subjective dictates of FCC commissioners or else they will not be allowed to proceed. One of the greatest, most powerful and far reaching technological achievements of the Twentieth and Twenty-First Centuries is now to be but another utility where rates, service plans, and technological advances will not be allowed unless first approved by the politicians who populate the Federal Communications Commission. The FCC has just denied liberty and free enterprise its essential place in that medium which holds out more promise for the advancement of mankind than any other. The FCC has learned through broadcast, cable, and telephone regulation that structural controls beget in time near total control over a medium. By lording it over on the internet service providers in the years to come, the FCC will coerce and cajole them into implementing the political dictates of FCC Commissioners in a manner akin to FCC’s long and sordid history of control over the broadcast media. Displeasing a regulator who has subjective power over the structure of media invites retaliation. What former FCC Chairman Newton Norman Minow referred to as “regulation by raised eyebrow” in broadcast regulation is now applicable in the internet context. The mere hint of an FCC Commissioner’s dissatisfaction with the operations of an Internet Service Provider will cause that provider to appreciate all too well that the regulator’s displeasure makes essential approvals far more difficult to obtain. Instead, most will alter their business plans to avoid regulatory payback, even if that means constricting access to some in favor of others, thereby affecting who may speak and what may be said. In that single instance, the First Amendment’s command that government be disarmed of power over speech and press is eviscerated. The ultimate control over the structure and content of the medium has passed from private to public hands. Now the politically appointed, unelected heads of the FCC, will call the shots over the internet. In this one vote of the FCC, everyone in America, indeed in the world, has lost freedom and opportunity. February 26, 2015, is the blackest day so far in the history of the internet. Jonathan W. Emord is an attorney who practices constitutional and administrative law before the federal courts and agencies. Ron Paul calls Jonathan “a hero of the health freedom revolution” and says “all freedom-loving Americans are in [his] debt . . . for his courtroom [victories] on behalf of health freedom.” He has defeated the FDA in federal court a remarkable eight times, seven on First Amendment grounds, and is the author of the Amazon bestsellers The Rise of Tyranny, Global Censorship of Health Information, and Restore the Republic. He is the American Justice columnist for U.S.A. Today Magazine and joins Robert Scott Bell weekly for “Jonathan Emord’s Sacred Fire of Liberty,” an hour long radio program on government threats to individual liberty. For more info visit his website, join the Emord FDA/FTC Law Group on Linkedin, and follow Jonathan on twitter (@jonathanwemord).